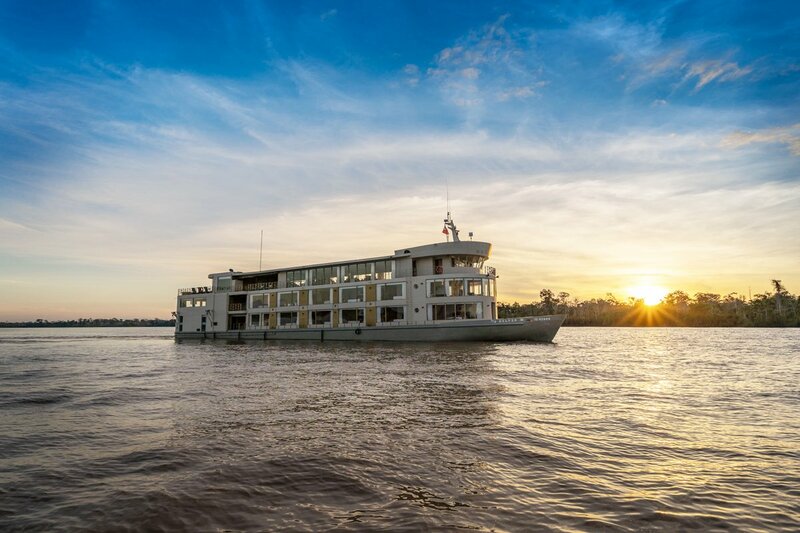 Luxury Amazon cruise Delfin I is the most exclusive vessel that sails in the Peruvian Amazon, offering 4 exclusive oversized suites with panoramic private terraces, in which 2 of them feature a private whirlpool for the ultimate treat. Each suite provides guests with all the modern comforts of a world class lodging yet with the spirit of casual and refined elegance. Travelers will be spoiled by the floor-to-ceiling windows that allow nature to be part of the suite decoration. Three times daily cabin service will ensure you the most optimal personalized service possible. Our guides, skippers, chefs and crew members –many of them native Amazonians– are experienced and trained professionals as well as charming travel companions. With a high ratio of crew for every passenger, they provide our guests with personal and undivided attention. On the top deck of the luxury Amazon cruise, passengers will find a lounge area, bar and entertainment center which are the perfect places to relax while the jungle unfolds before their eyes. The dining room, observation deck and library are also ideal gathering places for all our guests and offer exquisite decoration and excellent services. Of course, not all time is spent onboard. 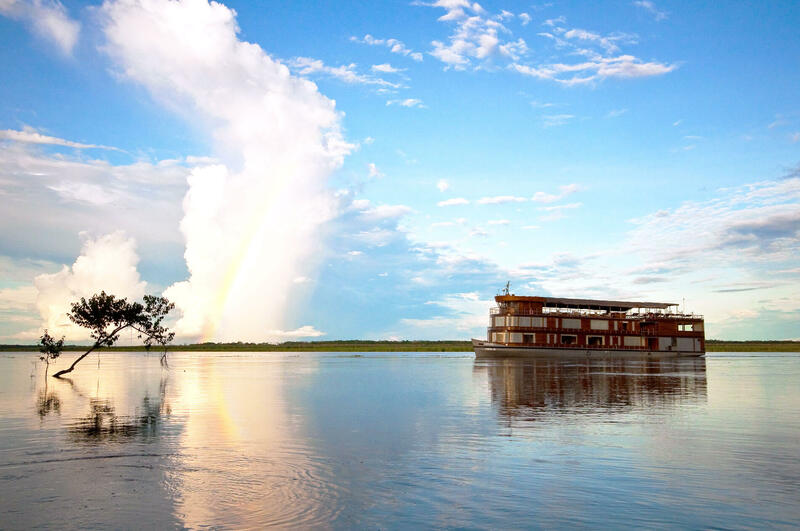 On the luxury Amazon cruise: Delfin I, guests can indulge in the wonders of the Amazon River with many water activities, like navigating on skiffs in the calm creeks and lakes, kayaking, paddleboarding, fishing and swimming with dolphins. To compliment your daily excursions in the rainforest, we welcome you to enrich your body on board by making use of our newly restored exercise space. Whether you enjoy aerobic exercises or cardio, our gym resources are available at your disposal. Better yet, the floor to ceiling window allows you to never miss a second of the vibrant jungle scenery outside. Wellness and healing continues with our spa services. 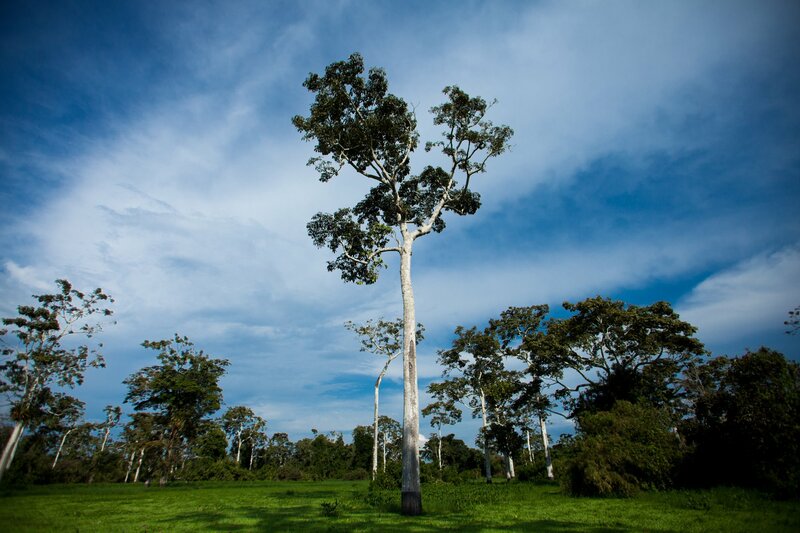 Surrounded by the lush natural scenery of the Amazon, we encourage you to dive into the benefits of the rainforest remedial philosophies and therapies. Our wellness specialist is happy to accommodate your schedule at any time and, depending on your preference, you can rejuvenate in our spa room or find your zen in the comfort and privacy of your suite. Finally, we welcome you to our lovely enclosed lecture room and lounge, which was warmly designed and carefully supervised by owner Lissy Urteaga. It is a great space to read a book, play board games and relax. The room is equipped with a full set of media equipment and print materials so you can learn more about the wonderful Peruvian Amazon. 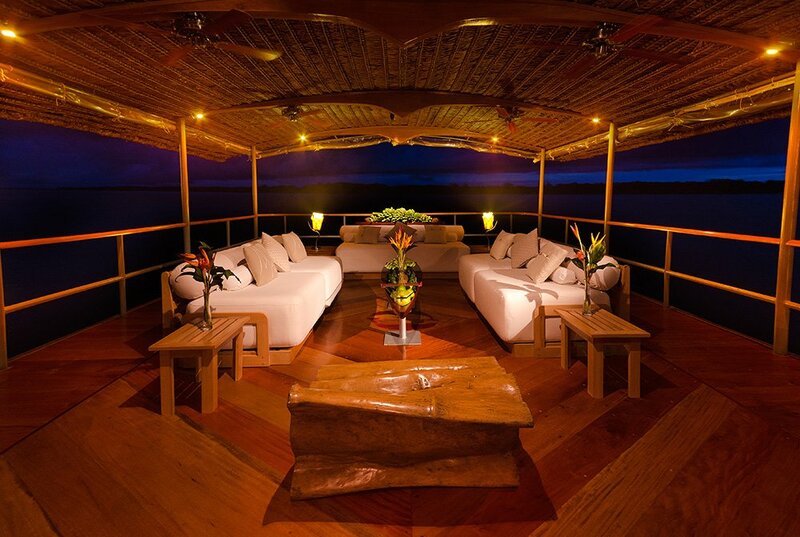 Enjoy the luxurious comfort of the Amazon cruise Delfin I, with stunning views of the Amazon Rainforest. For more information on the departure, check here for availability.